As you pack for tomorrow, here is the forecast for the weekend! Remember to pack some tennis shoes and we’ll be canoeing on Saturday. 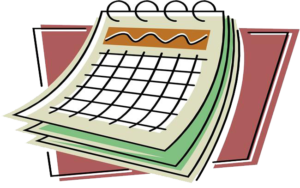 We’ll have a copy of the schedule in your folder when you arrive but if you want to download a copy to your phone here it is: SYANA Gurmat Retreat Schedule. We are just a couple of days away from SYANA Gurmat Retreat 2018 and we can’t wait to see everyone soon! Dealing with people, emotions, or actions that are harmful to your path as a Gursikh is a staple of daily life. However, learning to actually apply Guru-oriented methods in difficult situations is much different. This workshop will hopefully provide Historical examples of Guru Sahibs facing “enemies” and Gurbani that provides wisdom on where your actions and thoughts should be coming from. 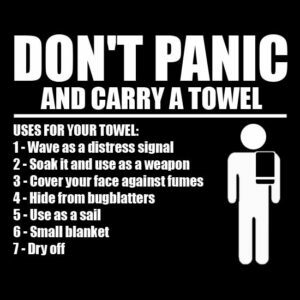 Remember your towel and check out all the benefits your towel can provide! Email us if you have any food allergies or specific preferences. We will have gluten free, dairy free options available for each meal, but we need to let the staff know how many people to prepare for. As a FYI, with each meal there will be a fruit or soup/salad bar available. Also, fresh fruit will be available all day. We are having a poetry/open mic night on Sunday evening. Please consider sharing a favorite poem, essay, song, or instrument. We would love to hear your voice! We are less than a week from this year’s Gurmat Retreat and wanted to continue to share the workshops and activities being planned for the weekend!. Let’s make new friends and break some ice. Can you piece them together with the help of your crew? Is it a riddle? A puzzle? A joke? A rhyme? Find a solution before you run out of time. If you win this game, you’ll be in Anand! Set Your Team Up For Success! 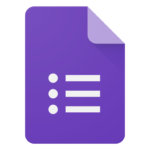 If you haven’t done so yet, please fill out this one question form. It will help us in creating teams for the scavenger hunt. Vaaheguru Ji Ka Khalsa Vaaheguru Ji Ki Fateh! We are one week away and hope you are as excited as we are! We’ve got info to share, so look below. 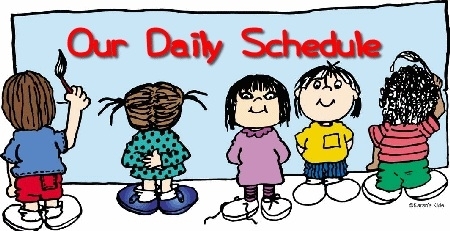 This year’s schedule is now up on the retreat website. While there might be some minor changes, this will give you an idea of what to expect for the weekend. The YMCA Camp Storer offers a variety of activities and amenities at the campsite. 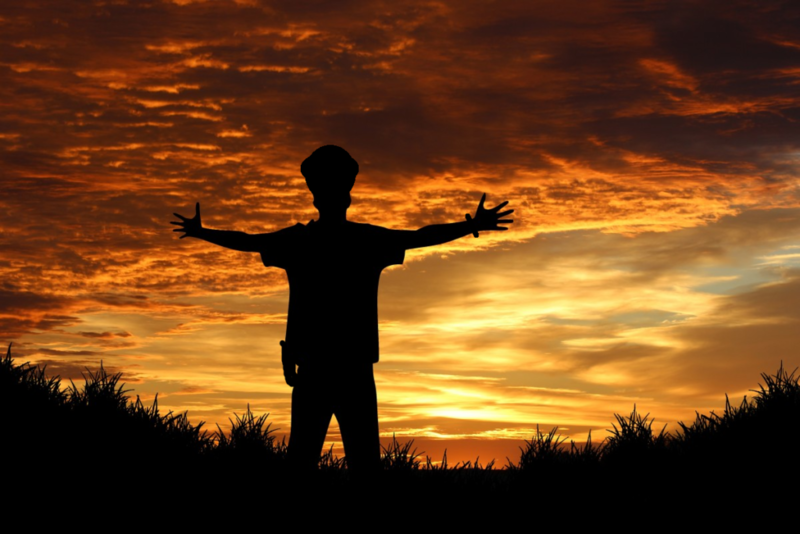 Mornings and evenings are often cooler and afternoons can warm up significantly. 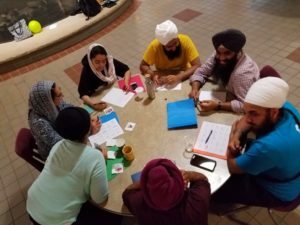 The SYANA Gurmat Team is working work to ensure we all have a great learning experience. To do so they need a little help. Please take a few moments to read below and fill out the necessary information. We have a large number of people register in the past week for this years Retreat and we are excited. To help us schedule and ensure you make it to the site on time. we are asking that you please fill out our travel form. 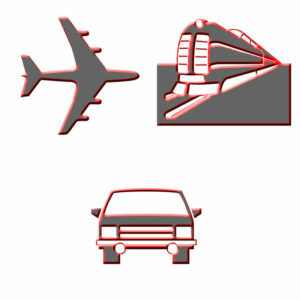 Whether you are driving, flying or arriving another way please fill out the form no later than Thursday, May 17th. This year’s ice breaker is a scavenger hunt! Everyone will be working in teams – so help us get to know you and the skills you have by filling out this form. 2018 SYANA Gurmat Retreat: Missed the deadline? Fear not! LATE TO REGISTER FOR RETREAT? MISSED THE DEADLINE? We’ve extended the registration deadline to Sunday, May 13th @9:00 pm! 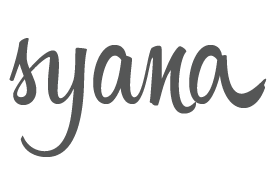 SYANA Gurmat Retreat is four days of being surrounded by Sangat, immersing yourself in daily divaans and taking part in engaging discussions and various workshops. Don’t miss out on this amazing opportunity and make sure you register! We look forward to seeing you May 25th to May 28th at YMCA Camp Storer! … help us spread the word! Let your friends know that you’re going to retreat by using the hashtag #syana2018 and tagging us – @syalliance! 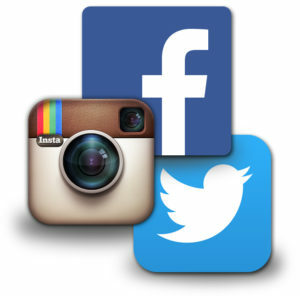 We’ll be keeping a lookout for your posts! How do you react to political events? What do you see? What do you hear? How do you use your body as a tool for change? This workshop will use Anand Sahib to decode how we use our senses in a Guru-inspired way to mobilize our Sikhi. Registration is open. Don’t lose out on the incredible opportunity to come together as Sikhs to explore and reflect upon your personal path towards the Guru. You will immerse yourself in daily Nitnem, Keertan Divaans, various workshops, Gurbanee discussions, and healthy debate. Explore your connection with the Guru, Panth and beyond. Come take part in this unique weekend of self-exploration and building Panthic unity. More details on speakers, workshops, and schedule will be out soon. We look forward to seeing you May 25 – May 28th at YMCA Camp Storer! 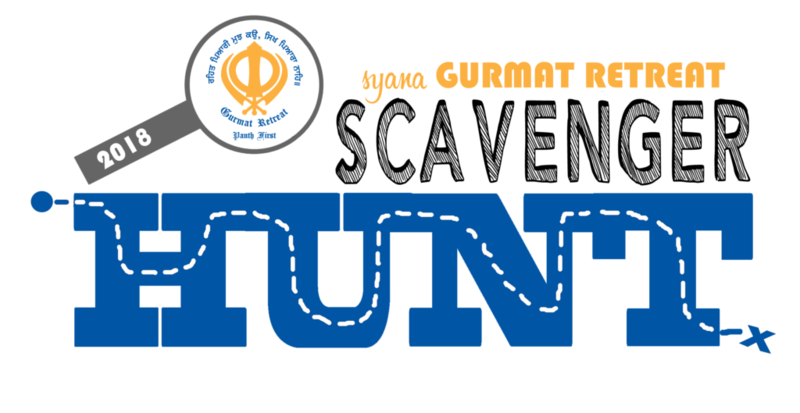 SYANA 2018 Gurmat Camp: Registration is Opening Soon! 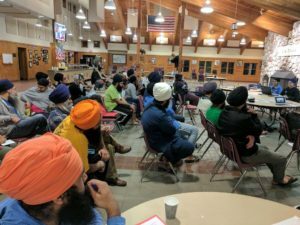 Sikh Youth Alliance of North America (SYANA) is excited to announce this year’s Gurmat camp will be held from July 1st to July 7th at CampCopneconic in Fenton, MI – approx. 60 minutes outside of Detroit. Online registration will open next week on Monday, May 7th, 2018 atwww.sikhyouthalliance.org/camp. We will be sending out more information on the registration process in the upcoming days. 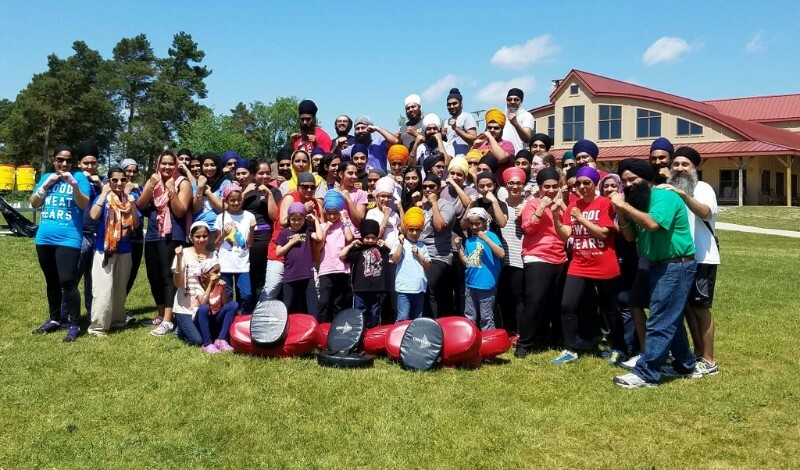 The annual Gurmat camp has always been SYANA’s flagship endeavor, aimed at giving Sikh youth across North America exposure and access to the Guru’s message, in the hopes of inspiring a life-long commitment to the Sikh way of life. 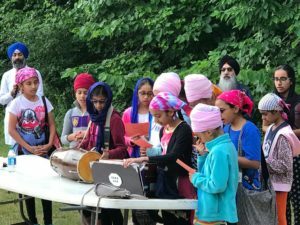 For over 40 years, SYANA has provided Sikh children across North America with a 1 week summer experience that immerses the youngest members of our Panth in Keertan, Paath, Gurmat, History classes, and most importantly, the benefits of Guru-oriented Sangat. SYANA Gurmat Camp returns for its forth year to Camp Copneconic. Situated on 750 wooded acres around Lake Copneconic, the campsite offers a variety of programming including high ropes courses, archery, ziplines and water activities. A serene and natural atmosphere with dorm-like accommodations will help make sure our campers are comfortable throughout their stay. We have had great success at this campsite in the past few years and will continue to improve the already amazing camp experience by offering more personalized attention to each one of our campers. 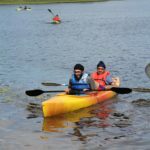 This yearly event aims to bring together Sikh youth from across North America to an environment where the Sikh way of life can be experienced. 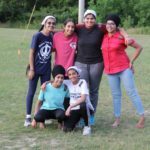 Immersed in the inspiring traditions of the Sikh faith, these youth capture a glimpse of the Guru’s message in the hopes of encouraging a love for the Sikh path. The camp is structured to encourage relationships that strengthen a spiritual experience through Sangat. In spending a week together, youth create friendships that last a lifetime. We hope to welcome both veteran and new campers into a week-long adventure of Sikhi-inspired fun and learning. We are just a month away from the annual SYANA Gurmat Retreat 2018! This year we will be exploring the concept of “Anand”, the eternal bliss. Over the next few days, we will share the exciting talks, workshops and speakers we have lined up for retreat, that will motivate and reignite your connection with gurbani, gurmat and rehat. 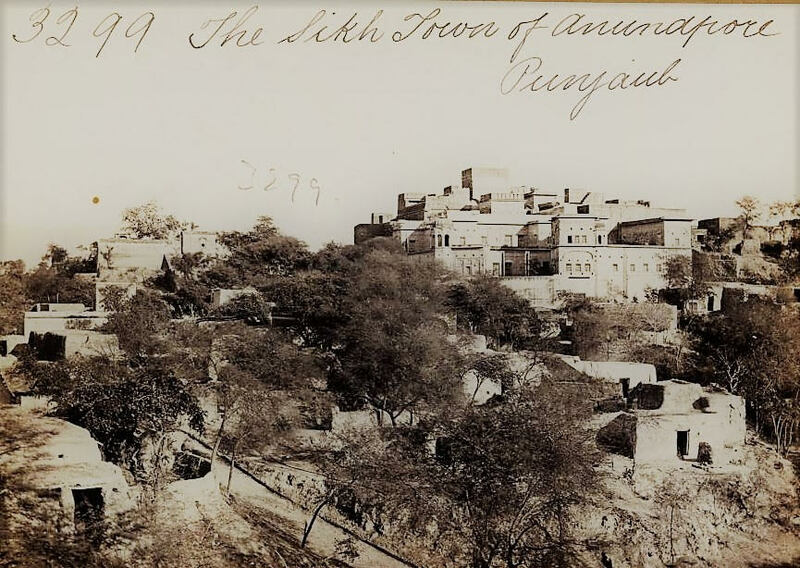 An exploration of the ten villages, towns & cities founded and developed by the Gurus. There will be a focus on the three major capitals of the Gurus: Amritsar, Kiratpur and Anandpur Sahib. 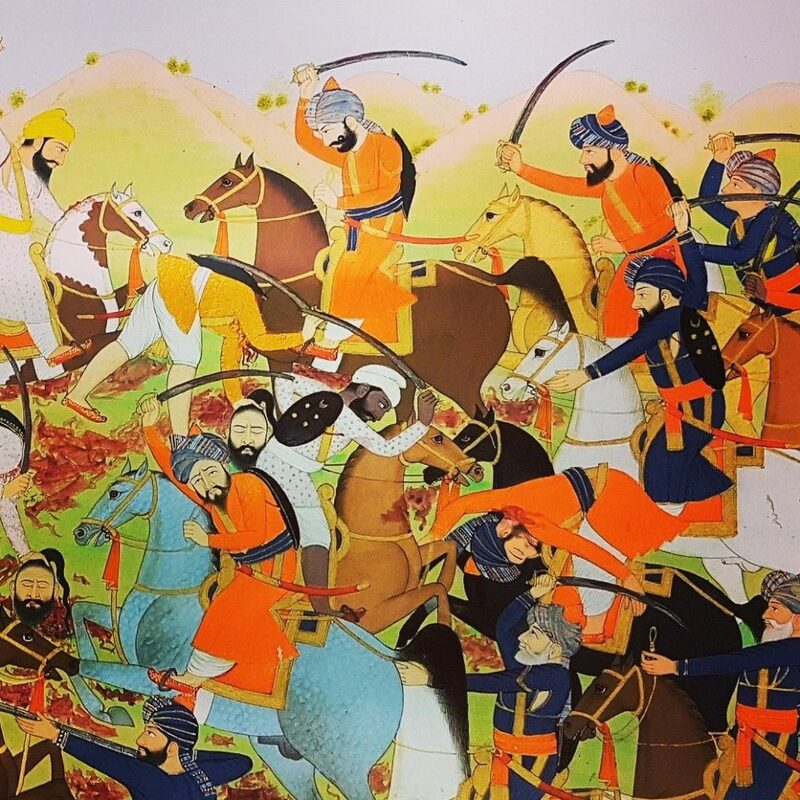 The symbolic meaning behind the five forts of Anandpur Sahib will be explored in detail. 2018 SYANA Gurmat Retreat is just around the corner and we are excited to see familiar faces and especially excited to meet new people! Volunteers are working hard to compile a list of speakers and workshops that we hope to share with everyone very soon. 1. If you are traveling in by plane, train or bus please email us at info@sikhyouthalliance.org with your information so appropriate transfers can be arranged. If flying, please arrive prior to 1 pm on Friday May 25th and schedule flights for after 5 pm on Monday, May 28th. For better fares/rates or just for fun, if you need to come in earlier or stay later, that is perfectly fine and we will arrange accommodations. 2. Please don’t forget to bring bath slippers for the bathroom, bedding for a twin size bed, and towels. Note: If you are flying into Detroit, we will do our best to provide bedding for you. We will be in contact once we receive your flight information. 3. You will need tennis shoes for some of the weekend activities. 4. Please try and bring a water bottle. 5. Visit the FAQ section on the website for common questions, but please feel free to email us with any questions you may have. 7. If you have any allergies or dietary restrictions – please let us know. 8. If you have any concerns or special requests, please email us, and we will do our best to accommodate your needs. Again, we are excited about the opportunity to spend time with all of you. We’ll see you on Friday May 25th!